No tricks today. I got them this weekend. 😆 The book I’m currently writing for Harlequin Desire has a release date in July, 2017. Which I just found out about on Friday. So I scrambled this weekend to find model and scene pictures for the art information sheet. And ideas for titles. I also have to write a more or less carved in stone synopsis for marketing. Which is hard for me because I’m mostly a pantser when push comes to shove. Technically, I’m a puzzler–I have the general idea of characters and where I want the plot to go but nine times out of ten, those characters ignore me completely. That happened with REDEEMED BY THE COWGIRL (releasing in early March) and it’s a heck of a lot better book than it originally would have been. So anyway, due to those circumstances, the deadline is pushed back a bit. I have some breathing room, especially since National Novel Writing Month starts Tuesday. I’m always geared up to write hard during November. So weekend… There was one. I spent lots of time looking and pictures. And trying to figure out the plots turning points without really having the plot set and I’ll be finishing up the art sheet which is due tomorrow. Since O spent my days looking at pictures, I listened to an audio book and as Insomnia is my BFF lately, I also did a lot of reading. Books: I devoured the newest Chronicles of Elantra books, CAST IN FLIGHT by Michelle Sagara. I tumbled onto this series this summer and marathon read them all. I enjoyed it a lot. I really like the characters the author has created and her world-building is stellar. I’m also reading Rebecca Zanetti’s DEADLY SILENCE, the first book in her new Blood Brothers series. It’s romantic suspense with a touch of paranormal/scifi. If you enjoyed her Sin Brothers series, you might want to give this new one a try. I’m also a big fan of her Scorpius Syndrome series, which is post-apocalypse romantic suspense. Sports: The REAL OSU took it to West Virginia on Homecoming and beat the #10 Mountaineers. As a result the Cowboys are back in the top 25, at #22. A year ago, Homecoming was stained by a horrific accident that killed four and injured dozens during the homecoming parade. This year’s parade was dedicated to the first responders. OU also won their game. The Cubs were down to their last game in the series but they pulled out last night to take the World Series back to Cleveland for game 5. The Cubs are down 3-2 so they have to win the next two games to take home the trophy. Writing: Tomorrow starts NaNoWriMo. I’ll be working on RDR#6-Kade and once it’s done, I’ll push over to CRASH & BURN, which will be my second foray into Paige Tyler’s Dallas Fire & Rescue Kindle World. It’s coming out in late January. Fun times! And that’s it for me. Don’t forget about the big Kindle Fire and Ebooks giveaway on Maria Connor’s blog! Just CLICK HERE for info and entry if you haven’t already! Contest ends at midnight tonight, winner drawn tomorrow. So what’s up in your worlds? I’ll be dealing with the little witches, ghouls, goblins, and various super heroes come sundown. 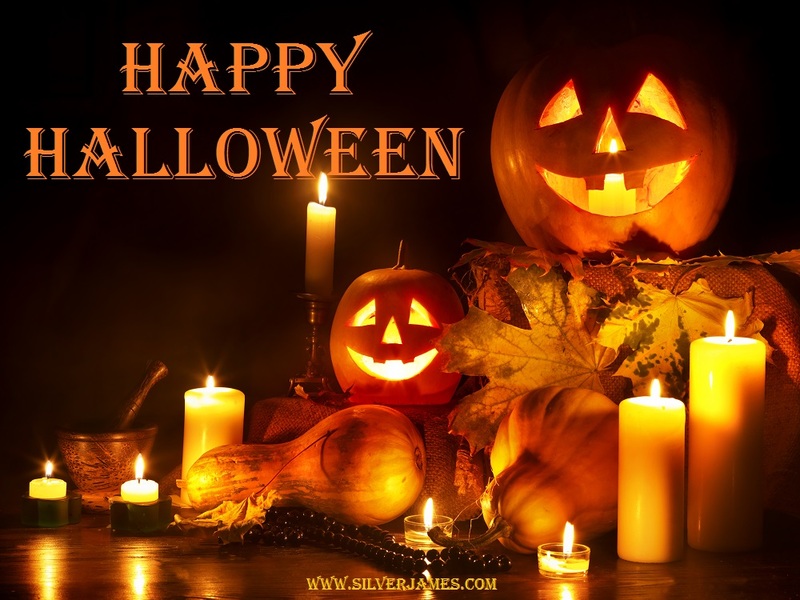 May you have a spooktacular day filled with nothing but treats! This entry was posted in Writing Life and tagged books, fun stuff, herding cats, holiday, Monday, reading, Red Dirt Royalty, sports, TV, writing. Bookmark the permalink. 2 Responses to Monday Boo! NaNo. Ugh. I won’t be doing it O-fficially, but I’ll be over here pounding the keys. I want to have the first draft of this done by the end of November. I’m up to just under 24K right now. Someone has to die today, I know the who and the why, and even the where, I just need to figure out how. OMG, I don’t think I could ever come up with the synopsis before I wrote the book. (I have a tough enough time afterwards, LOL.) Go you! Yay for the Pokes! WVU is right down there with the Suckeyes for me. Bleh. U of M is #2 right now – even though that game Saturday was a total nail-biter – so yay. They really need to step it up for that game in OH next month. I was going to head north today for smokes and get in a little fishing up there, but we’re under a dense fog advisory and I try to avoid those twisty, winding roads in bad weather. So, I’ll wait until it burns off, which will be too late for fishing. Oh well. Tomorrow I’ll fish. Today, we’ll do some more raking. That fairy oak of ours has really dumped the leaves this year. You should see the leaf mountain range we’ve got going on. Oh, and I read Jenn’s book this weekend. It totally rocked. All of our golden oaks and the sweetgums are deleafing. The yard guy is trying to stay up weekly instead of ignoring them for a year. I think the 500 bags of leaves freaked him out a little. 😆 Ours have no place to go so they have to be raked and bagged. Yay on the murder and mayhem. You’re truly devious so the how will come to you. We had a light fog and it’s burned off. No excuses for me. I gotta finish this art sheet today. Fun time!